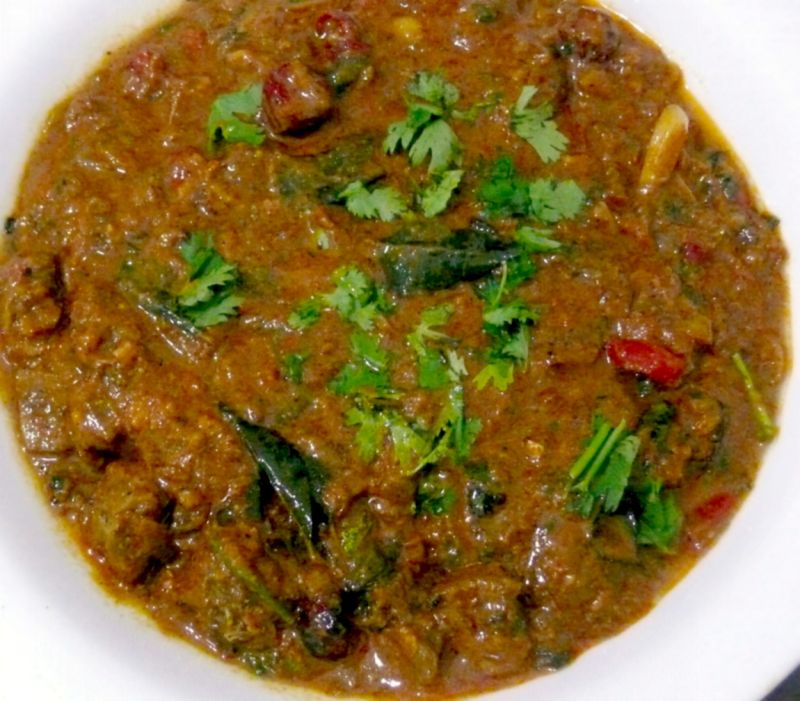 Very tasty beef curry which needs 20 mins cooking time. Mix beef with lemon juice, ginger-garlic paste - 1 tsp, chilli powder, chopped coriander leaves - 1 tsp, salt-1tsp and turmeric powder, set aside for 10 minutes. Pressure cook beef pieces upto 7 whistles .keep it aside. In another pan heat refined oil.Add the cinnamon sticks and the cloves and add the remaining ginger and garlic paste and curry leaves.Saute well. Add pepper powder and ajwain powder and saute for a min.Add onions,chopped tomatoes and the beef pieces. saute well for a minute till the onions get cooked. Add coconut paste,salt-1tsp and sugar. Cook and simmer for 4 minutes till oil separates from the mixture. Serve it hot with rice or chapathis.